The unique tyre composition ensures considerably reduced rolling resistance – for higher mileage and reduced fuel consumption. Auto Express (UK) have published the Annual Summer Tyre Test 2015. 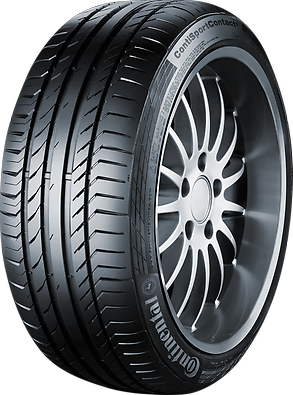 The test size was 225/45 R17. The test was conducted by Auto Express in cooperation with Continental in Hannover, Germany. This is the second year in a row Continental have won the ultimate summer tyre test by Auto Express. Rating for the ContiSportContactTM 5: "Test Winner"
"Rarely do we see such a dominant performance in our tests"
"Continental dominated both handling and braking on all surfaces." "Second win on the trot in our 17-inch test for a remarkable tyre"
The Russian magazine "Autoreview" has published in their issue the Summer Tyre Test 2015. The tested tyre size was 225/45 R17, test vehicle was a Audi A3 Sedan. The test was conducted by Autoreview in cooperation with Pirelli, Malepensa, Italy proving ground. The German magazine "sport auto" published a UHP Summer Tyre Test. The tested tyre size was 225/40 R18 Y and the test vehicle a VW Golf GTI. In their March issue, Auto Bild Allrad (D) published the 4x4 Summer Tyre Test. The tyre size was 255/55 R18 V/W/Y, test vehicle BMW X5. Rating for the ContiSportContactTM 5 SUV: "Test Winner"
The German magazine "Auto Zeitung Allrad" published a SUV Summer Tyre Test. The test size was 255/50 R19 W/Y and the test vehicle a Mercedes ML 350. The ACE (Auto Club Europa) and German GTÜ (Gesellschaft für Technische Überwachung mbH) have published their Summer Tyre Test 2014. The tyre size is 225/45 R17 tested on VW Golf and Seat Leon. The German magazine "Auto Zeitung" published a Summer Tyre Test for the tyre size 225/50 R17 W/Y. Test vehicle was a BMW 320i 170PS. "It doesn't matter if the track is wet or dry: The Test Winner"
have published the Summer Tyre Test 2013. - All criteria on wet road, fuel consumption: Contidrom, Jeversen, Germany. - Handling and dry braking: Bridgestone, Rome, Italy. - Mileage 225/45 R17: ADAC outdoor test, Landsberg, Germany. - Mileage 185/60 R15: Bridgestone wear machine, Rome, Italy. German Consumer Organization "Stiftung Warentest" published their Summer Tyre Test 2013. OEAMTC (A) and TCS (CH). 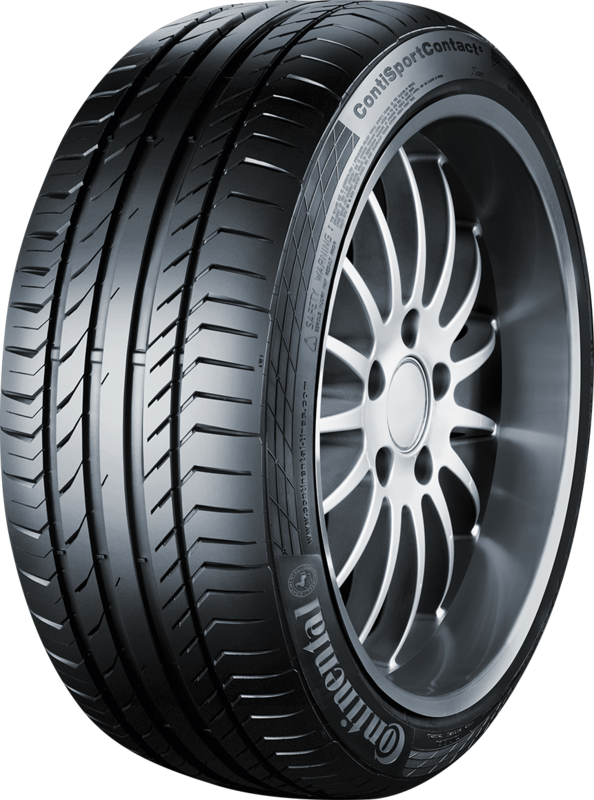 + "Our recommendation: The best tyres are ContiSportContactTM and Goodyear Eagle F1 Asymmetric 2"
Auto Bild sportscars (D) published their UHP Summer Tyre Test 2013. The test size was 225/35 ZR18, test vehicle Mini Cooper S JW. The test was conducted by Auto Bild sportscars in cooperation with Nexen on the Wachauring, Austria. Hydroplaning was tested by Auto Bild sportscars at the Contidrom. Auto Express - Rating "Test Winner"
Autoreview - Rating "Test Winner"
sport auto - Rating "Recommended"
Auto Bild Allrad - Rating "Test Winner"
Auto Zeitung Allrad - "Test Winner"
Auto Zeitung - Rating "Test Winner"
ADAC (D) / OEAMTC (A) / TCS (CH) - Rating "Good"
Stiftung Warentest - Rating "Good"
Auto Bild sportscars - Rating "Highly Recommended"